In the spirit of our ongoing commitment to ensuring your total comfort with every aspect of your travel experience, Shades of Sea Expeditions offers optional travel protection in the event that you need to cancel your trip or if you experience illness or accident on your trip. It is optional; however, we strongly recommend adding Ripcord Rescue Travel Insurance™ on every trip. Ripcord is designed for adventure travel with coverages for remote activities and no altitude restrictions, it combines into a single integrated program the evacuation and premier travel insurance coverages, powered by Redpoint Resolutions, a medical and travel security risk company. For more information on Terms & Conditions for Ripcord Rescue Travel Insurance™, please visit their website HERE. TThis is only a brief description of the coverage(s) available. The policy will contain reductions, limitations, exclusions, and termination provisions. Full details of the coverage are contained in the policy. 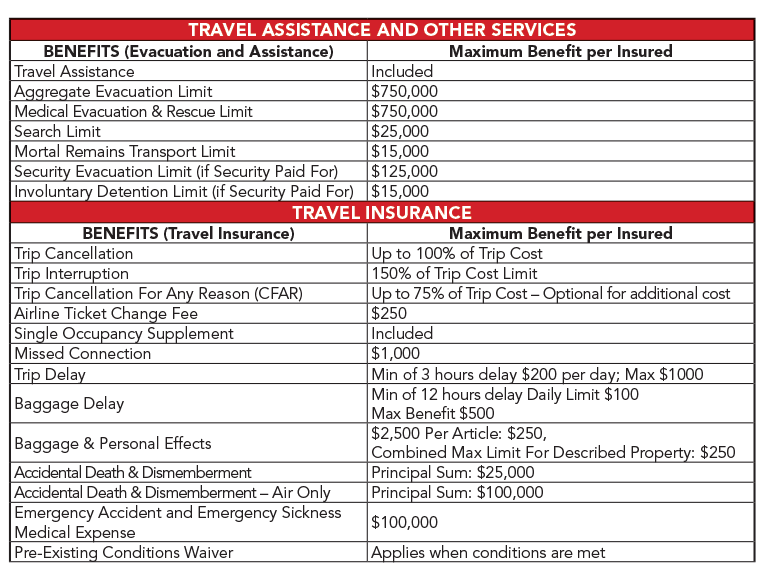 Please read the policy carefully to fully understand the coverages, terms, conditions, limits and exclusions. If there are any conflicts or discrepancies between this document and the policy or if any point is not covered in this document, the terms and conditions of the policy shall govern. Not all plans or coverages are available in every state. Please contact +1 415 481 0600 if you have any questions.